Recently my Italian friend acquainted me with text “Bylevsky Komsomol” posted to Web by Lisa Taylor (International Solidarity with Workers of Russia). After reading this I decided to write this statement because as I have heard this text has widely spread. Lisa Taylor’s charges are quite false. I know that Maoist faction in the Communist Party in Campuchea was destroyed by Pol Pol therefore I, Maoist, can’t consider him as standard for me. To judge about political group’s position “by a glance” – it really shocked me! Yes, my link collection contains section devoted to “national-patriots”. But I don’t see, how it can be concluded that I consider them all as our allies! I endeavor to make my collection complete at most by pointing sources some among that I don’t consider progressive at all! Our allies have their links on the header page of our website. Generally speaking I consider nationalists in oppressed countries can in some circumstances play progressive role. I don’t consider National-Bolshevik Party is openly fascist party. The situations with the NBP is more complicated then it is imagined abroad. Dugin is neofascist certainly. I don’t like newspaper Zavtra, but recently it published letter of our political prisoner anarchist Larisa Romanova. I really wrote that I consider that allowing the NBP to KZoT-stop campaign is acceptably in principle. If they want to support workers’ Labor code we would not reject their help. Our Komsomol is surely not racist, antisemitic or homophobic group. I and secretary on organizational work Irina Kostikova are “race-mixers” (her great-grandfather was a Jew), our [ex-]First Secretary Oleg Alexeev is Bashkir. Some our members work in Revolutionary Homosexual Front. We condemned Chechnya War and spoke for the freedom of Ichkeria. Is this known to Lisa Taylor? Was it known to her that in RKRP’s newspaper Trudovaya Rossia (Labor Russia) perfect leading article on Chechnya War was published (#12 (116), 2000). Why she is silent on this? Why she gleans only facts confirming her hypothesis by passing it off as typical and official? Russian communist movement has big problems but such "help" can not be named as comradely or honest. Comrade Lisa Taylor, I think you have hurried to make conclusions on RYCL(b). Look at the texts of our website, please, and admit you error. 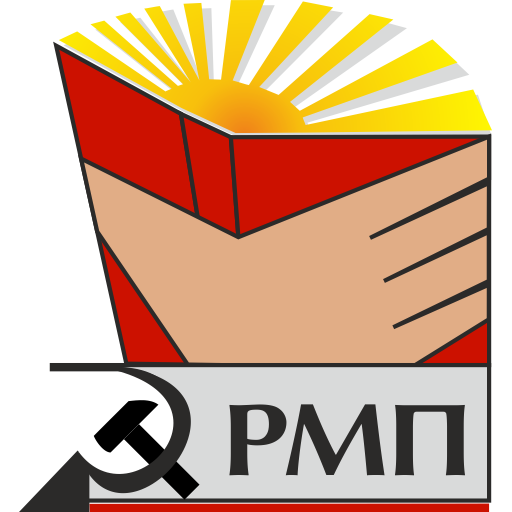 This organisation, named after its overage leader Pavel Bylevsky and also known as the Revolutionary Young Communist League (b) (Russian initials RKSM-b), is intimately linked to the RKRP. 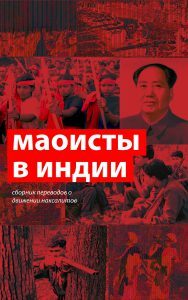 According to their website, “ The majority of members RKSM-b are members or supporters of the Russian Communist Workers Party ”. (23) Claiming to be influenced by maoism, they admire the genocidal Pol Pot as a “ great leader ”. The attitude of the Bylevsky Komsomol to racism and antisemitism can be easily be seen by a glance at the “List of Progressive resources” compiled by one of the party’s webmasters. Apart from a comprehensive collection of Russian stalinist, maoist and trotskyist groups, the list includes an entire section devoted to “national-patriots”, listing the openly nazi National Bolshevik Party, the Arctogaia website of the neo-nazi philosopher Dugin, and the racist Zavtra. In a country where living standards are being turned back to the nineteenth century, there is no doubt that workers will rise up to fight back. Whether this fight can go forward to achieve social justice and an end to the misery created by the profit system, or whether it will be dissolve itself into a mass fascist movement, in the naive belief that the enemy is “comprador capitalism”, “the Jews” etc., rather than capitalism itself – remains to be seen. It will depend on the ideological make-up of those that are seen to be at the forefront of the resistance, the resources they can command, the international solidarity they can rely on, for there is no doubt that the US will respond massively to any threat of an anti-NATO political force re-emerging on the territory of the old Soviet Union, regardless of whether that force is a revolutionary left one or a fascist one. It is extremely ominous that the largest opposition party in Russia today, the KPRF, is led by a man inspired by tsarist terrorists and antisemitic conspiracy theories, and that the current regime of arch-exploiters can maintain itself in power by whipping up mass hatred of Chechens or by singling out only Jewish big businessmen for interrogation. In a country ripe for fascism, the sole hope lies in those who put class first, and fight the ideas of race or nation. 1998 onward saw the awakening of militant resistance. Sadly, here too a reactionary, antisemitic party (although in “Marxist” clothes) has managed to position itself – the RKRP. The party itself may never be able to complete the process it has embarked on, and convert itself into a fully-fledged fascist organisation. But as long as it is allowed to hegemonise so many of the most militant arenas of workers struggle, poisoning them with its racist, homophobic and authoritarian ideology, workers will see that there is little to distinguish between what their (RKRP) leaders are saying and what the most reactionary parties of the nationalist extreme right say. Like the RKRP, Barkashov’s unashamedly nazi RNE also speak of the “ anti-national ” forces and the need to oppose these with “patriotism”. They too, speak of the need for nationalisation of the land and natural resources (let us recall that Hitler also used nationalisation to consolidate the Reic and to re-allocate assets in the interests of his most important capitalist backers). The Barkashovites, too speak of their goals of “ improving the way of life ” of workers, of “ social security ” of all citizens. They promise to deliver “ free health service and free education ” (25). All this to be achieved, of course, when the masses adopt the black shirt and swastikas of the RNE, in a mass liberation movement to drive out the Jews and the race-mixers. Workers faced with such similarity of the propaganda of openly fascist parties to that of the self-proclaimed workers’ parties will inevitably be persuaded to put race and nation ahead of class. The way is paved for the most able fascist leader to take charge. Certainly, there are some RKRP supporters who do not share the antisemitism of the party leadership, and who believe deeply in the “Marxist” rhetoric of the party. But their willingness to shut their eyes to official party antisemitism, to the appearance in the paper of material inciting violence against gay people, calling them a “ fifth column ” polluting the country’s social and cultural life, (26), to the publishing of “information” on neighbouring Islamic countries and the Chechen conflict from Slavic supremacist sources – all these things make them the willing tools of T’yulkin and his reactionary allies. T’yulkin is nothing but a more subtle Anpilov – a power-seeker who uses rhetoric about abolition of privatisation and extension of workers rights in EXACTLY the same way that, more than half a century ago, the Strasser brothers used anti-capitalist rhetoric in German on behalf of the NSDAP and the industrial magnates. Hitler, we may remember, called his party the National Socialist German Workers Party, in order to appear something other than ultimate defenders of capitalism in crisis – such is the importance of this nazi tactic to fool workers. The RKRP is a red-brown formation which needs to be exposed. 23 Website of Bylevsky Komsomol.